The following blog post is just a very brief overview of British titles and the Peerage. 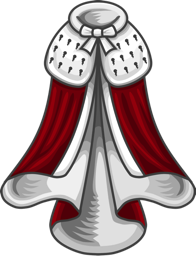 The Peerage is a British legal system of titles and is part of the Honours System. It comprises mostly of hereditary titles, although since 1958 there have also been life peers (a holder of a peerage is termed a peer). Before the peers, you, of course, have royalty. At the top, the king and or queen, then princes and princesses, then finally come the peers. Baronets to dukes are hereditary (unless a life peer) titles, but to complicate matters baronets though hereditary are not peers (Knights are not either) and so like knights they can not sit in the House of Lords. In Britain Knights are not hereditary, although they maybe in other countries and some people may consider a baronet a hereditary knight. Earls and barons are the oldest titles in Britain, then dukes were created in 1337, marquesses from the end of the 14th century and viscounts first from 1440. Unlike some systems of titles in other countries, the British system is based on the person’s title, not their bloodline and so the family of a peer is not considered noble, they are considered commoners. In Britain, only an individual is ennobled, not an entire family. Titles are stylised as the rank then name of the title or as, rank and name of the title. A duke always uses the of wherever, i.e. Prince Andrew Duke of York. The form of address for a duke is His/Her Grace, marquesses use The Most Honourable and other peers use The Right Honourable. In speeches peers are referred to as Lord or Lady then their name, except dukes and duchesses who are addressed as His/Her Grace (by inferiors), or The Duke/Duchess (by his/her social equals). A peer is exempt from civil arrest (citizen’s arrest).